The increasing importance of preventing pollution at sea, and the large quantities of oil carried in ships has made emergency petroleum transfers an important part of salvage operations. Because of the nature of the material being transferred, petroleum operations are inherently dangerous. 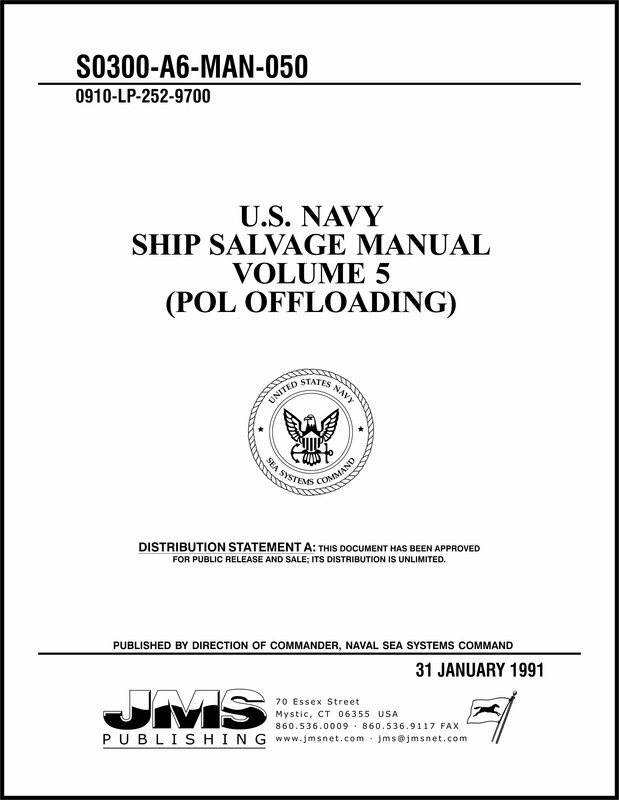 This volume describes procedures for removing oil from the fuel systems of casualties and for the special and complex task of removal of cargo oil from tankers and replenishment ships. Salvors must be aware that the latter is not a routine matter of “flanging up and pumping.” Salvage transfers require extensive planning, a high level of technical competence and good seamanship by salvors. Appendices containing technical data on petroleum transfer equipment and transfer checklists complement the text.